Are the Dutch really the best football team in the world? After so many years as the ‘nearly men’ of international football, the rise of Holland to the top of FIFA’s world rankings ought to be a cause for celebration. Bizarrely, Oranje reached the summit without even kicking a ball after a gala round of friendlies on August 10. While the Dutch saw their match against England cancelled because of the riots in London, world champions Spain lost to Italy and Germany defeated Brazil. As fate would have it, their first fixture as the world’s top team pitted them against the bottom-placed nation, San Marino, and they marked it with a crushing 11-0 victory. 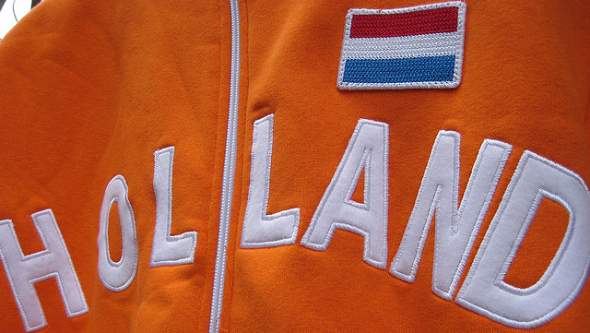 Dutch football has enjoyed an illustrious history since the ‘total football’ team of 1974 won fans around the world with its swashbuckling style. Back then players such as Johan Cruyff and Willem van Hanegem strutted the international stage, winning titles at club and European level with Ajax and Feyenoord. Today’s crop of players are less feted – of the current squad, only Wesley Sneijder, Mark van Bommel and Ibrahim Afellay have European Cup winner’s medals – and the team has attracted criticism in some quarters for the style of play that marred the 2010 World Cup final. Of FIFA's current top seven nations, the Netherlands is the only country never to have won a world title, despite reaching the final three times in 1974, 1978 and 2010. Pragmatism has always been a hallmark of Dutch football. In the 1970s Johan Neeskens terrorised international forwards, and the 1974 team had the worst disciplinary record at the World Cup. But some fans feel the balance has now swung too far towards ‘result football’.